One of the things that really attracted me to this book was not the plot synopsis, but rather the beautiful cover. I know it’s wrong to judge a book by its cover, but in my experience, some good covers serve as a prelude to pretty amazing books. This time, unfortunately, I wasn’t so sure that was the case. It wasn’t so much that Elixir was a bad novel, but rather that it wasn’t as amazing or captivating as other books I’ve read as of late. Sadly enough, it fell into this horrid in between were I really wanted to get into what was happening with the storyline and the characters, but there was always something holding me back. It was as though anytime anything something scary, or exciting happened, I couldn’t find it in myself to get excited or scared. 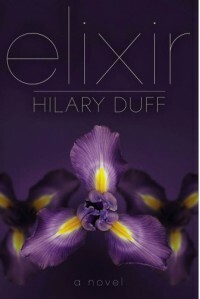 Elixir by Hilary Duff was a fairly easy read and all in all, it did not take me more than a day or so to finish. I know there are a lot of skeptics out there (my best friend included) who are reluctant to read this book simply because of whom the author is. Yet, I’ve always had a soft spot for Hilary Duff (seeing as though I was a Lizzie McGuire fan) and I quickly decided she could do no worse than some other authors in the young adult circuit. I was surprised, to say the least, at how organized and fairly well-written Elixir was. I know she collaborated with Elise Allen in writing this book, and maybe that’s why the writing was so good, but even so, I was pleasantly shocked with that development. The idea behind the story was also pretty amazing, but it wasn’t executed to its maximum capacity. To me the authors focused so much on the build up that they fell flat in the resolution. The thought of a mysterious guy popping up in only some photos the protagonist takes was really interesting, but rather than pursuing just that, the element of reincarnation, tragic love, searching for the lost father and the elixir of life were woven into that and there was just a lot going on. For one thing, the explanation behind the picture thing felt a little bit cliché and even the characters seemed to have a hard time believing it. Also, the main character, Clea Raymond, has dreams about her past lives with the mysterious guy, Sage, but rather than asking him about it (as I believe most logical people in an illogical situation would do) she seems to conveniently forget to. The story behind some of her past lives was interesting, but when they’re finally explained, it felt incredibly rushed. And though the author tried to tie in all the themes I mentioned earlier, I could never quite understand how could Clea’s father know so much about Sage and his tragic circle with Clea’s past lives. To me, what helped this novel shine through the somewhat hazy storyline were the actual characters, especially the secondary ones. To me Rayna, Clea’s best friend, was a ball of sunshine and fun. Though I expected her to be jealous of Clea’s fame, and maybe even act a little catty, she was the total opposite. She lit up the page with her exaggerated and over the top personality and it was sweet to see how loyal and protecting she was of Clea. Clea’s mom was also refreshing. 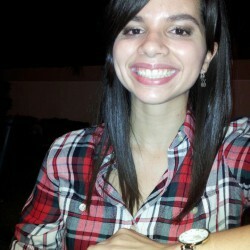 For one thing, she wasn’t one of those overbearing and totally clueless mom’s most Y.A. authors write about, but rather she was a cool mom. She had her issues concerning Clea’s dad supposed death, but she was supportive of her daughter’s decisions and her love for Clea was evident. Consensus: All in all, Hilary Duff’s Elixir was a good Y.A. novel; it wasn’t great but it wasn’t awful either. If you’re looking for a quick read with some good characters and a fairly interesting storyline, then Elixir’s the novel for you.